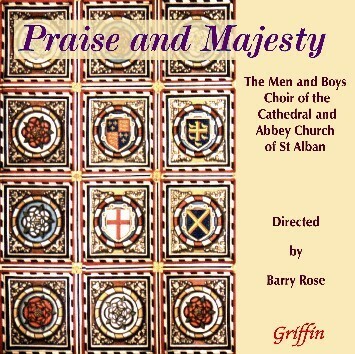 Praise and Majesty GCCD 4076 Product Description Praise and Majesty is an anthology of music as heard in the sung Services in the Cathedral and Abbey Church of St Alban – both on weekdays and on Sundays. The record takes its title from Mendelssohn’s exultant Above all Praise and Majesty. originally set in German for 8-part unaccompanied choir. In contrast, Martin How’s reflective and popular setting of Day by Day is set for Treble voices and organ only, to the Prayer of St Richard of Chichester.